Description and Uses of a Thickness Planer and for what job is the planer used for. - Wood Working Co.
A thickness planer can be used to obtain boards of even thickness which are also completely flat on both sides. The new generation of surface planers replacethe old handheld models and are equipped with a planing platform which gives you lumber of uniform thickness using manual or electronic adjustments. A planer cuts wood into the desired thickness, while creating perfectly parallel surfaces. There are many ways to determine if a job requires a planer or jointer. Despite the conveniences of shopping for furniture at retail stores, there are still some who take pleasure in the simple joys of woodworking and creating their own pieces at home. Many people today enjoy this craft, not only because it is a useful skill but also because they enjoy creating beautiful works of art. While skill and experience is necessary, having the right tools is vital to making any piece of wooden furniture. Many hobbyists and weekend warriors have various tools at their disposal, but for those serious about woodworking, a jointer and planer are definite must-haves. These two machines may seem similar to most beginners, but they have different functions. This guide aims to inform people about the differences between jointers and planers, as well the as the different ways to determine which tool is appropriate for the job. Jointers and planers can be purchased from industrial machine dealers and specialty home improvement stores, but for big savings and a wide array of choices, buyers can turn to eBay. While the jointer and planer are similar tools that can be used on the same piece of wood, some people may think that these tools are interchangeable. However, they each have a distinct function, and there are different ways to determine which is the right tool for the job. Woodcrafters source their woods from a variety of places. 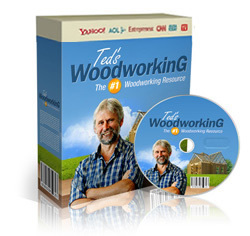 The easiest place to get wood would be from home and retail stores. It’s also possible to purchase them from lumber stores or directly from mills. Most wood is sold as “S2S” or “S4S.” These figures simply refer to the number of sides that have been finished or pre surfaced. Therefore, S2S has two sides finished, while S4S wood has all four sides pre-surfaced. Wood that has not been surfaced in any way is called rough lumber or rough wood. Most beginner woodcrafters purchase S4S wood because it’s the easiest to work with, and they may not have the tools necessary to work with rough wood. In such cases, neither a planer or jointer is necessary. For S 2 S boards, the faces are already primed and ready, but the edges may be a little rough. In that case, a jointer can help smooth the edges, especially if they need to be joined together with other pieces. Rough wood will definitely need a lot of work and the first thing woodworkers should do is check the surfaces and edges of the board. If the edges of the wood are uneven, or the surfaces have bumps or blemishes, a jointer can smooth out these surfaces. Wood can bend due to a variety of reasons, from air pressure, humidity, or simply storing it the wrong way. Pieces of wood can be cupped along their width or bowed along the length. While it may be tempting to use the planer to flatten out the piece, it’s actually better to use a jointer first, as the planer will just follow the wood along its curve. The jointer should be able to make it flatter. Any good carpenter first plans out his or her project, including measuring the size requirements for lumber. Some projects may require pieces of wood that are extra long or wide, like an oversized dining table or custom sliding doors. Projects like this will require wood pieces to be joined together from end to end. 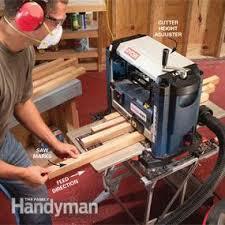 Therefore, a jointer is necessary in order to ensure the edges will fit together seamlessly. Thickness is another measurement that’s important when it comes to woodworking projects. Woodworkers prefer to be able to cut their lumber into the thickness they need, and the planer is the perfect tool to get the job done. It’s nice to have smooth, parallel surfaces on all wooden furniture, but in some instances, it isn’t always necessary. For example, support beams, the undersides of wooden bed frames, and generally anything that’s more functional and can be hidden from view can be left unfinished. However, for jobs that require two parallel surfaces on either side, like wooden doors, window frames, and tables, each side should be parallel to the other, and therefore, requires a planer. Some pieces of wood or lumber may have some slight imperfections on the surface. Wood with perfect grain is quite beautiful, but it can also be costly. Many lumber stores and mills may be able to give discounts for pieces that have small imperfections like scratches, dings, or even holes. These can easily be removed with a planer to reveal a smooth face and create a wood grain surface. Wood twisting is when the two edges of a wooden board do not lay flat on the same plane, and “twist” away from each other. A jointer can be used to correct this imperfection, and the difficulty depends on how extreme the degree of twist. Shorter pieces are generally easier to fix, as these will have smaller degrees of twist. Instead of pressing the board flat on the jointer, the operator will have to first mark the high side of the wood with a pen and start cutting there, and continue to guide it along the jointer to ensure a flat outcome. Jointers, planers, and other carpentry tools are available online from marketplaces like eBay. Since some professional heavy-duty tools may cost a lot of money, this can be a cost effective way to obtain good quality new or used tools. To start searching for any item on eBay, just use the search box on the front page. If you want to be more specific in your search, use Advanced Search. In the search box, type in words that pertain to what you need, like “Grizzly jointer” or “wood planer.” Then, scroll down to see the different parameters you can specify, like buying formats, location of the item, or even category. Business & Industrial and Home & Garden are two possible categories where jointers and planers could be listed. While a handheld planer or jointer doesn’t cost much, heavy-duty industrial tools can cost thousands of dollars. Business and home owners can use their credit cards to finance such purchases, but this can mean high interest rates and fees. That’s why PayPal is offering eBay members a financing service called Bill Me Later. With Bill Me Later, you can pay for your purchases over a period of time so you can better manage cash flow. Every tool has its purpose, and when it comes to woodworking, the jointer and planer are two very distinct tools. While at first glance, they may seem interchangeable, they actually perform different functions. A jointer is used to create smooth, flat surfaces along the four edges of a piece of wood. A planer cuts wood into the desired thickness, while creating perfectly parallel surfaces. There are many ways to determine if a job requires a planer or jointer. A user would need to determine the type of wood, check the edges and surfaces, check the flatness of the wood, determine the required measurements, decide if there’s a need for parallel surfaces, find imperfections, and check the wood for twisting to determine which tool is needed. These and other tools can be quite pricey, depending on the make and model, and many people turn to eBay for the best deals on jointers and planers.